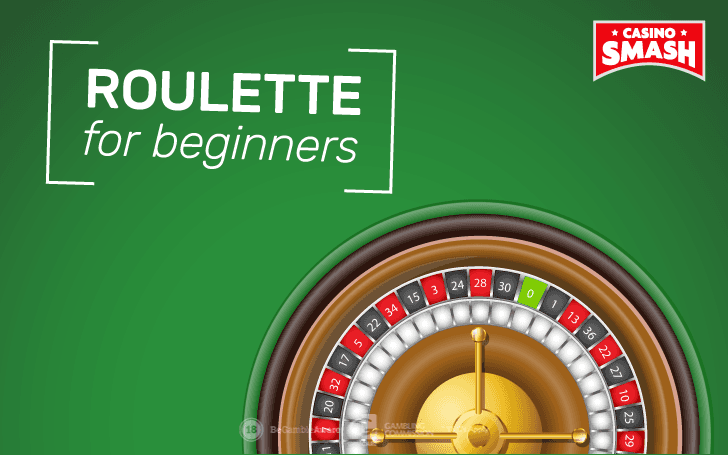 Learn how to play Roulette like a pro with the most complete beginners' guide on the internet! Around since the Seventeenth Century, the game of Roulette is still going strong. The once-undisputed hero of the Casino floor survived the transition to the digital age so well that it nearly monopolized the world of real money Live Dealer games at online Casinos. That's because this game of chance is exciting, popular, and there are so many types of bets that you could play for hours without ever repeating the same action twice. Today, you are going to learn how to play Roulette and how to do it like a pro when you play at the the best Roulette sites on the internet. This guide is the ultimate attempt to save you from the most common mistakes beginners make when they play on the European wheels and they place their bets only on the reds and blacks. Read it and make sure also visit this page to play free Roulette games online. Keeping that page open will help you understand what I am going to say about the Roulette wheel and table as well as to familiarize with all the bets on the table. If practice makes you perfect, why not to practice Roulette online? Enjoy the free Roulette demo games and discover the best Live Dealer Roulette games in the world. Collect your free bonus today and play Roulette online! Before you place any bets and invest your money in a game of Roulette, you need to learn how the Roulette wheel works. Especially as there are wheels that can reduce your chance of winning money. In short, there are two types of Roulette wheels: the French Roulette wheel and the American Roulette wheel. At first glance, you might not notice the one thing that differs between the two wheels - that's not good for you as one of them features a little something that increases the house edge and decreases your odds of winning money. While this may seem insignificant, the extra zero almost doubles the house edge. Single zero games give the house a 2.70% advantage. 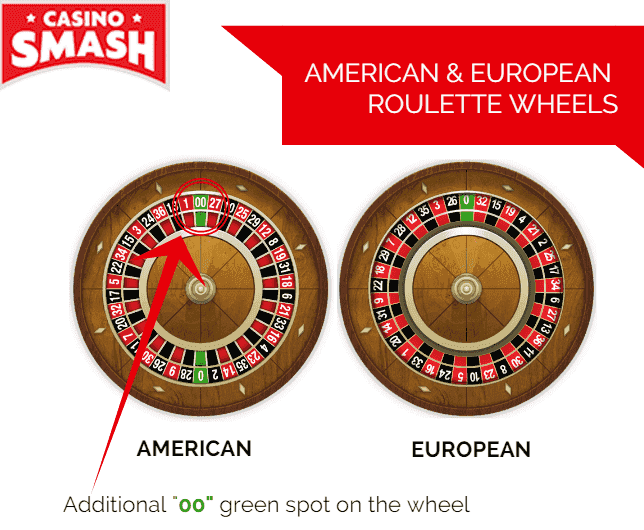 The additional zero in the American Roulette games bring the house edge up to 5.26%. Want to Play Roulette Like a Pro? Always choose the European Roulette games. The lower house edge is also one of the reasons why the game of Roulette is a lot more popular and played at European Casinos than it is in the United States. The Roulette table is where most of the action takes place. Here is where the players bet and where a bet on the winning number can gift you with a stellar payout. Like in any other Casino game, each Roulette table comes with a predetermined set of minimum and maximum bets. These numbers mean that you can't join the action if your bets do not meet at least the minimum amount and you should probably look for excitement elsewhere if the dealer doesn't let you bet as much as you would like to. One tiny detail no one explains when they teach you how to play a roulette machine is how to deal with the limits. That's because there are different ways to handle the minimums in a game of Roulette - and it all depends on your bets. Let me help you with an example. Outside Bets: If you choose to place an Outside Bet (more on this later), you must place at least $1 on the bet of your choice. Inside Bets: If you choose to place an Inside Bet (more on this later), only the sum of all your bets needs to be equal to $1 or more. Most Roulette beginners don't know this and feel obliged to bet the minimum on each Inside Bet they place - and that's a very expensive mistake to make. The game of Roulette uses different colour chips that cannot be used to play any of the other games (e.g. you can't play Blackjack or any other table game with them) on the Casino Floor. You can buy a stack of Roulette chips at the betting table with either cash or regular Casino chips. Each player receives Roulette chips of a different colour. This is to help the dealer understand who should be paid in case the ball will land on someone's winning number. Whenever you buy your token to play Roulette, you receive a personalized chip stack and a lammer, a marker with an amount on it that the Dealer uses to define the size of your stack. As soon as the Dealer announces that a new game is about to start by saying "Place your bets," you can make your picks and distribute your chips on the Roulette table. Here's another curious bit those who don't know how to play Roulette ignore: you can place our chips on top of other player's chips. No one gets exclusive rights on any of the Roulette bets available and you should never be afraid to place your chips right on top of someone else's. This would not make you look stupid - it would make you look like someone who knows how to play Roulette and who is experienced enough to avoid the mistakes Roulette dummies make. Also, listen to this: you can still place your bets even if the Roulette wheel starts to spin! The betting round ends only when the Dealer announces "No more bets," meaning you can still place your bets even if the ball is already running on the wheel. Respect the Dealer! Remember that you are not allowed to touch or collect the chips on the table until the Dealer removes his marker from the layout and announces the beginning of a new betting round. 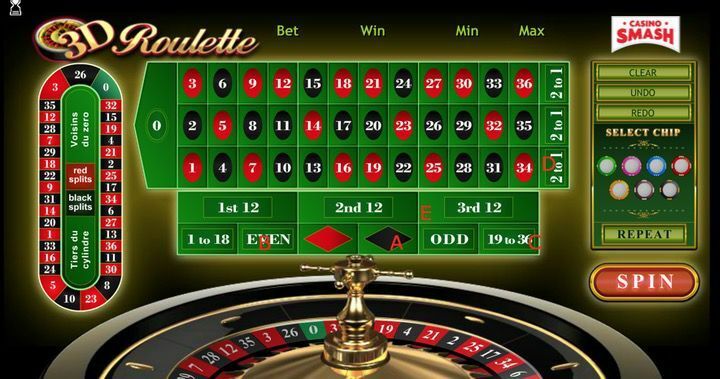 To conclude this Roulette for Dummies online guide, let's have a look at all the types of Roulette bets you can place in a game of Roulette. Since you can place inside and outside bets, I have separated the two sections to help you understand more about the winning bets you can invest your money on. Also, if you are interested in Roulette tips, betting systems, and betting strategies, make sure you reach the end of this beginners guide - as that's where you find some additional useful readings that will help you play the game you love and reduce the house edge at the same time. The Outside Bets are those that you place outside the 37 (or 38) numbers displayed on the Roulette table. Check out the picture below of an online Roulette table and continue reading to know more about the details and payout of each Outside Bet. Red or Black: You bet that the winning number will be either black or red. This outside bet pays even money, 1:1 (Image: A). Odd or Even: You bet on the winning number being either odd or even. This outside bet pays even money, 1:1 (Image: B). Low or High: Here you bet that the winning number will be either in the lower part (numbers 1-18) or the top part (numbers 19-36) of the table. This outside bet pays even money, 1:1 (Image: C). Dozens: You bet on one of the three dozens on the table: 1-12, 13-24, 25-36. This outside bet pays 2:1 (Image: E). The Inside Bets are those that focus on single number bets or specific combinations. 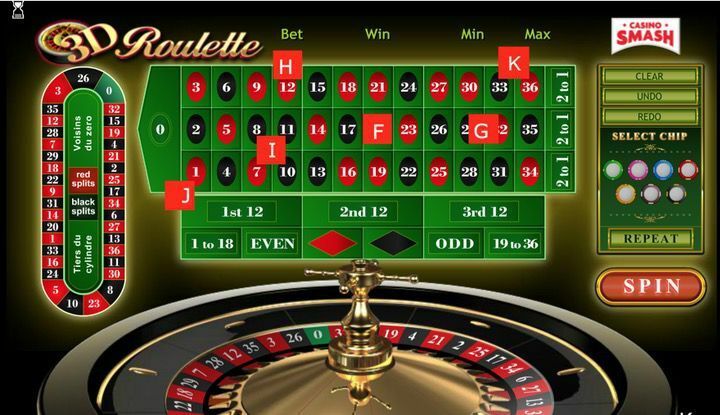 The image below illustrates all the Inside Bets you can make in a game of Roulette. Scroll past it to learn details and payouts of each bet. Straight-Up Bet: This is a bet on a single number (including the 0 and the 00 on the American wheel). This is the most rewarding bet in a game of Roulette as it pays 35:1 (Image: F). Split Bet: you bet on any adjoining numbers, so you win if either of them is the round's winning number. This bet pays 17:1 (Image: G). Corner Bet: This bet is also referred to as the Square Bet and the Quarter Bet. This bet is a single bet on four adjoining numbers, and you place it by putting a chip right on the cross where the numbers converge. The Corner Bet pays 8:1 (Image: I). Five-Number Bet: This is one of the worse bets in Roulette. It's good if you know how it works, but you shouldn't waste your money on it. On the Five-Number Bet, you invest your money on a set of numbers that includes 0, 00, 1, 2, 3. This bet pays 6:1 (Image: J). Now that you know all the most important Roulette basics and you know how the betting in Roulette works, it's time to play some games and see the game in action. The best way to start, is to play Roulette for free with one of the many demo games you can find online. Once you feel confident enough, you can have a look at these amazing games and discover why people love to play Roulette so much. 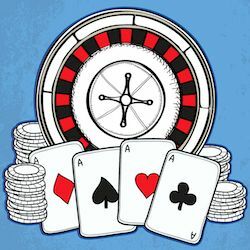 Here's a list of some more advanced articles that explain different aspects of the game and help you learn how to play Roulette online. Make Your Christmas (a Lot) Better with This Xmas Calendar! 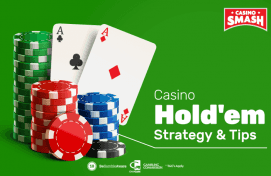 Casino Hold'Em Strategy: Tips to Win EVERY TIME!